I remember the first time this year that I heard about the Syrian refugee crisis. 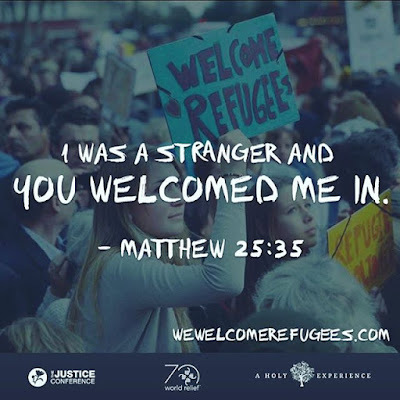 In February, our new pastor shared about the work his brother was doing with Syrian refugees living in camps in Iraq. He invited us to give money to help them survive the winter. In April, I watched, dumbfounded, as ISIS boldly beheaded 22 martyrs and read how Ann Voskamp met displaced Iraqi Christian women living in empty shipping containers without running water, electricity...or husbands. I gave money to help these women forge a new life and enroll their children in school. And then I went on with my life. I was moved by what I saw, but only for a moment before I scrolled to the next post. We eliminated cable in August, so we get our news from the car radio or read it online. I first heard about what was happening in Hungary last Wednesday. A friend of mine told me that her daughter was due to start her semester abroad in London soon. She was concerned about her ability to get back in time for the start of classes because she was traveling via Eurorail and the trains were being held up in Budapest. There was some trouble with a large number of migrants there. Rail traffic disrupted by frustrated migrants didn’t change the fact that I needed groceries. I strolled the aisles and bought everything on my list. The next day I read Ann’s blog and saw the picture. A dead three-year-old boy isn't so easy to forget. Even as I count up how many times I’ve heard about this crisis, I struggle to decide what to do. Social media urges me to snap a selfie with a sign that says #refugeeswelcomehere. Relief organizations seek donations for clothing, blankets, tarps, and baby food. But what made my fingers pause over the keyboard as I read through the options at wewelcomerefugees.com, was the opportunity presented to sponsor a family. Talk about skin in the game. Do I have the courage to say, “You’re homeless, hungry, jobless, and only have the clothes on your back? Come. My husband and I will help you”? I am not naive about what it would look like to really do this. I’ve shaken hands with a few and watched Pam and her family intentionally walk out the Bible's command to "love your neighbor." And it is a command. Right now, what's going on with those refugees seems very removed from my life and I'm not sure how I'm going to respond. But to Jesus, there’s no ocean separating me from them, and He commands me to see them, to love them as I love myself. That doesn't allow them to be "out of sight, out of mind"--unless I want to try to separate me from myself. To accomplish that, I'd have to be out of my mind. 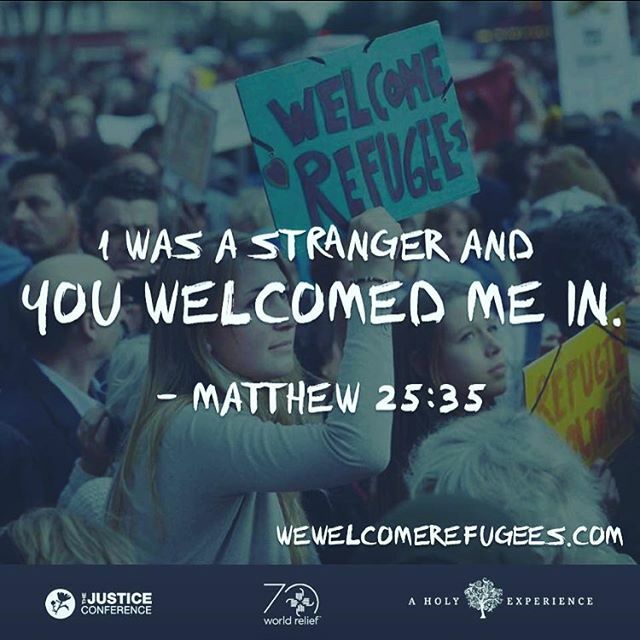 How are you processing what you’re reading, hearing, and seeing about the refugee crisis?